In the Rio Grande Valley, graffiti is often affiliated with gang activity and vandalism while street art for some is still considered a hipster pastime. Artist on both sides of the spectrum draws offense to such stereotypes. However, street artists and graffiti writers sometimes find themselves pitted against each other from within and by the mainstream art world. They are left to argue the value and entitlement of one style over the other, and while most note the differences in graffiti style and the street art aesthetic, all of these artists are usually categorized into the larger umbrella of informal public art. In the Valley, the lack of understanding or consideration of public resources to recognize the value of said art styles as an asset is often shaped by these pessimistic opinions and leaves the region behind in the contemporary art movement. Some Valley cities like Harlingen appreciate public art and are known for their modern murals. They even have an interactive map for mural tours. The art scene is vibrant and visible in their downtown Art Walk every last Friday of the month, especially during the summer. The bloc party features various artists, artisans, and local businesses that showcase live music and art like graffiti. Other cities like Weslaco seem to have a blooming appreciation for public art, and it can be seen in the impressive murals that draw one’s attention as you cruise through Texas Avenue. Yet most of these works are on private property and only possible because owners requested or allowed a few artists to paint their space. In 2011, Graff Wars, a juried graffiti writing competition was hosted at Archer Park in McAllen and was successful in bringing attention and public support to RGV graffiti, but it was only one event. Even though graffiti and street artists are abundant in the Rio Grande Valley, a majority have a difficult time or insufficient resources to showcase their art in public. Artists like Captain Sino, a McAllen native, recognized this and started working to pave the way for a more prominent acceptance of graffiti and urban arts in the RGV. Sino and other collaborators made space for emerging graffiti and street artist to practice and display their work publicly through Rock the Block. RTB is an urban arts showcase featuring live graffiti art, b-boy-ing, rap battles, and musical performances. While there have been other graffiti gatherings in the Valley, many died down. But since RTB started in McAllen, it has spread. RTB 3 was held in Brownsville with the assistance of A Bunny Product and Brownsville Artists and Musicians and local writers in the fall of 2016. The event featured more than 30 artists who transformed a derelict building to a quasi-outdoor gallery. These events have been a major hit among the community, and Sino continues to search for opportunities to grow. But like many artists, he is left to do so on a volunteer basis and with limited resources. Often times, coordinating logistics and confirming a location is the most difficult aspect, especially when having to maneuver through negative preconceived notions of the art form. It is understood that tagging or painting on a wall without permission is part of the nature of graffiti, and it is one of the largest barriers individuals face when practicing and developing their art. Artists who create large-scale illegal pieces no doubt deserve acknowledgment, and they often stand out. But graffiti and street art have evolved to a level where they are no longer just underground. Graffiti and street art are recognized as appropriate and impactful art forms capable of changing not only the art world but also our landscape and lived environment. Some cities embrace public art as a way to reinvigorate a neighborhood via street art and murals. These places support creativity and the local economy by becoming tourist attractions and cultural landmarks in the cities. Creating a space where the art of graffiti and street art can be practiced, encouraged, and supported is important, and many in the Valley understand this. The youth are especially willing to think outside the box, and they are thirsty for the urban arts. 1) To minimize Graffiti and “tagging” on city-owned and privately owned properties and businesses, alleviating the unnecessary time, work, and tax dollars the city puts in into getting rid of existing and future vandalism by giving its citizens a legal medium of practicing the art form. 2) To give the opportunity for local artists to flourish and display their work publicly, strengthening McAllen’s creativity and local art scene. It would also give a chance to anyone who has ever been curious about the art to experience it first hand. 3) To give the citizens of McAllen and its visitors another option for recreation and could be used to form a stronger bond with its residents as a community. When interviewed by local media Rios said he felt something like this is “needed in the Valley and it’ll let the art scene grow.” Many agreed with him and showed their support by signing on to the petition, which when closed included 1,115 individuals. The McAllen Public Works Director Carlos Sanchez mentioned that “if it’s something the community is looking for or seeing as a need, well then the city will actively listen to that group.” However, nothing came of the action. The petition showed widespread support but was directed at Mayor Jim Darling and a city council that apparently showed little interest. While it was a noble effort, bureaucracy, political disinterest, and a lack of organizing ultimately bogged down the petition and request. More than a year has passed since the petition closed, but the hope for a Graffiti Park is not lost yet. The City of McAllen Parks & Recreation Department is looking for public input and ideas for new parks. At the request of the Texas Parks and Wildlife Department, every city must develop a 10-year Parks and Recreation Master Plan with updates every five years. McAllen’s previous Parks and Recreation Master Plan was from 2007 and in order to develop a new plan city officials are hosting various information sessions and asking for McAllen residents feedback via surveys. According to the park staff, the suggestions with the highest count will be prioritized and presented to the city council. The elected officials will decide on the projects depending on public input before creating the master plan and submitting the proposal to Texas Parks and Wildlife for approval. If approved, the plan will serve in acquiring and applying for grants. Now seems like a perfect time to bring back the popular suggestion of opening a Graffiti Park in McAllen and for artists to become civically engaged in supporting graffiti and street art in the Valley. We need to show our support for public art and change the antiquated ideas and negative perceptions placed on graffiti and street art in the Valley. A Graffiti Park in the second largest city in the Valley would be a step in this direction. I support the development of a Graffiti Park/Street Arts Center as a priority in the City of McAllen’s Parks and Recreation Master Plan. The City of McAllen’s Park and Recreation Master Plan should prioritize the inclusion and support of public art in all of the park projects it proposes. Now, fill out City of McAllen’s Park and Recreation Survey and paste your comment on the last question. The survey will be active through May 31. McAllen residents are also invited to give their feedback and learn more by attending the last town hall meeting on June 7 at 4PM for children and 6PM for adults at the Las Palmas Community Center. Author’s note: Neta has tried to reach out to Eleazar Rios, the creator of the Graffiti Park petition, but have not been successful. If you know Rios please ask him to contact us because we would love to work with him! Lastl, if you support the idea of a Graffiti Park in McAllen like the Facebook page: R(t)GV @956rtgv. Tthey are a street art collective that will be advocating for public art and keeping track of the Graffiti Park efforts. 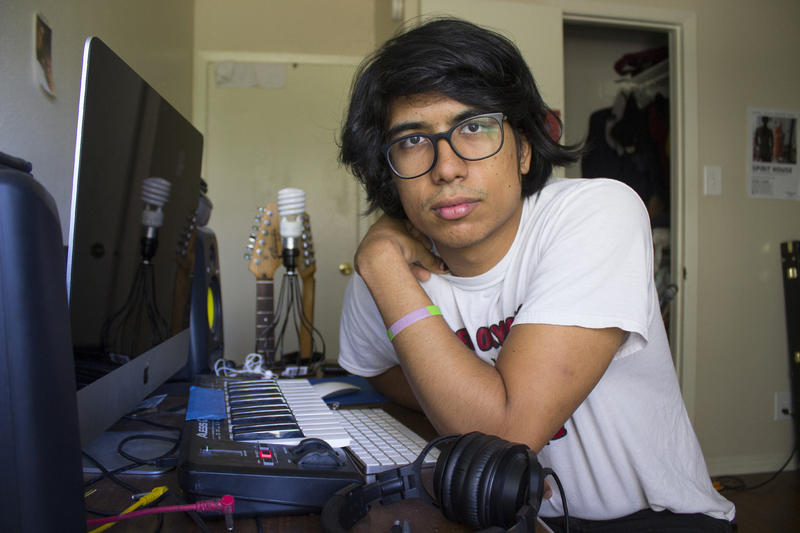 Josue Ramirez is an RGV Artist and Neta Cultural Organizer.